The Vilac Car Baby Walker is really fun to play with and encourages your little one to take their first steps. Why should I buy the Vilac Car Baby Walker? The Vilac Car Baby Walker is the perfect walker to help get your little one walking and to have fun too. It has two compartments so that they can take their favourite teddies along for the ride too. 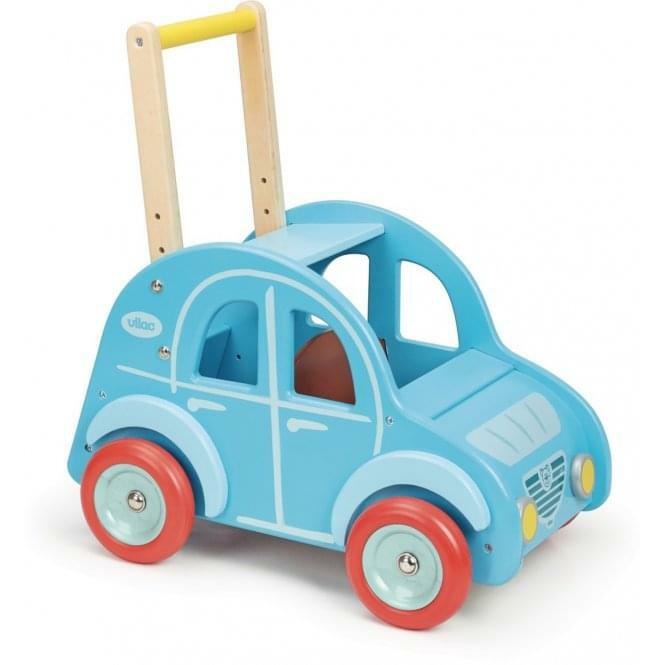 The Car Baby Walker by Vilac has a unique design at the back of the walker to prevent tipping too.